We arrived at Busamed Gateway Private Hospital at 5:30 am on Transplant Day, filled with trepidation. We felt excitement at the fact that this was finally Matthew’s second chance, but also a lot of sadness for the donor family. The gratefulness that we felt because of the decision they had made was matched by an ache in our hearts for the grief they must be feeling. As we walked through the hospital doors reality hit. 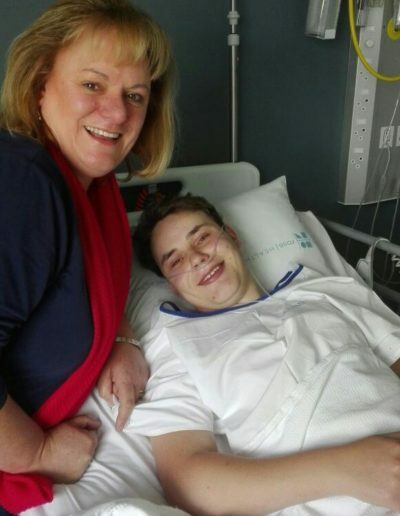 We all had a good chuckle when I reminded Matthew of what Cindy, Matthew’s transplant coordinator, had said to him – telling him he would have to leave his dignity at the front door as he came in and that he could collect it in a couple of week’s time on the way out! As we approached the reception desk we were asked our surname – the name was recognized and we were told that all the forms for admission had been completed – all that was needed was our signature. (Thank you, Cindy!). 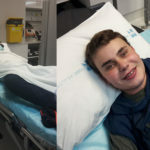 This was just the beginning of our outstanding hospital experience. 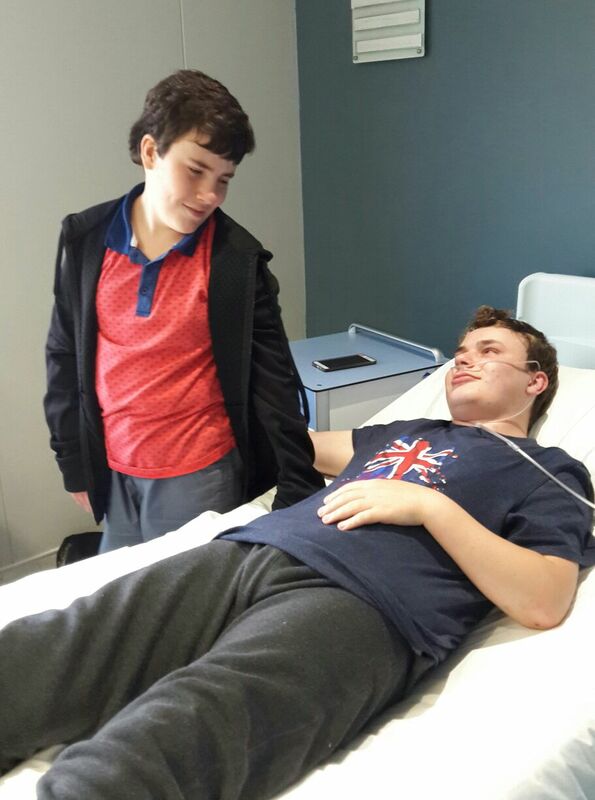 Once Matthew was admitted to the ward for assessment prior to the transplant, we relaxed a little and made a point of laughing and joking about all sorts of things and encouraging him. 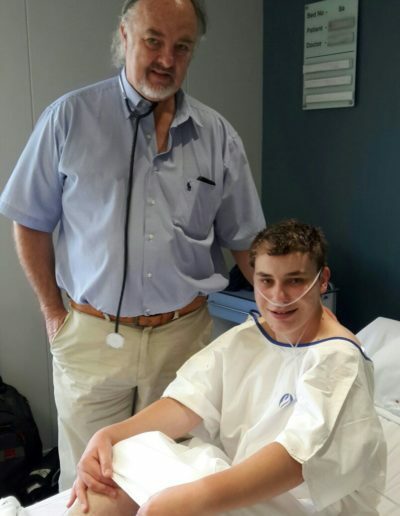 The surgeon, Mr Kleinloog, Matthew’s cardiologists, Dr Andrew Asherson and Dr David Gillmer, the anesthetist, Dr Padoa and the physiotherapist, Danika van der Post, all came to see Matthew, assess him and chat about his previous operations and what we could expect in the next couple of days. Matthew preparing for the operation with his mother Janet. 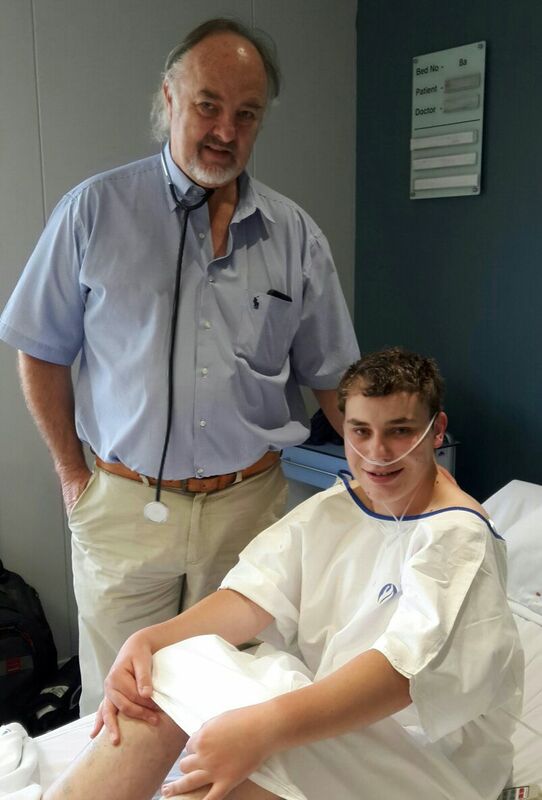 Matthew’s incredible surgeon Mr Kleinkloog. Matthew with his younger brother Luke. Matthew with Annie, the Cardiac ICU Unit Manager. Matthew with Vanessa, Surgical ICU 1 Unit Manager. 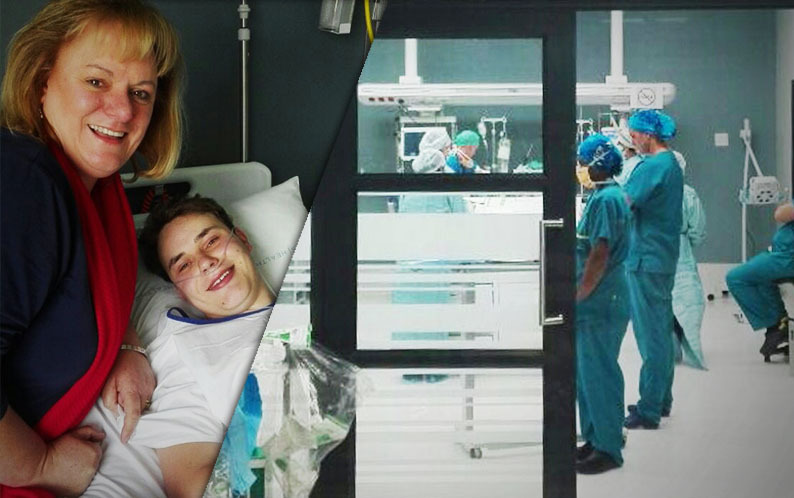 We already knew that this was going to be a difficult surgery (due to the complications that his previous surgeries had caused in his chest) and that Matthew’s chance of survival was significantly reduced because of this. We spent the hours before his transplant chatting about the future. It was so comforting to have not only the theater manager, Chantel, but the SICU1 unit manager, Vanessa, and the cardiac ICU unit manager, Annie, popping in to give us and Matthew encouragement. 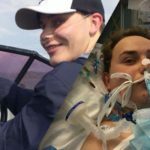 They talked about his dreams of things he would do after his transplant. We spent a lot of time praying for every aspect of the day that was to come. 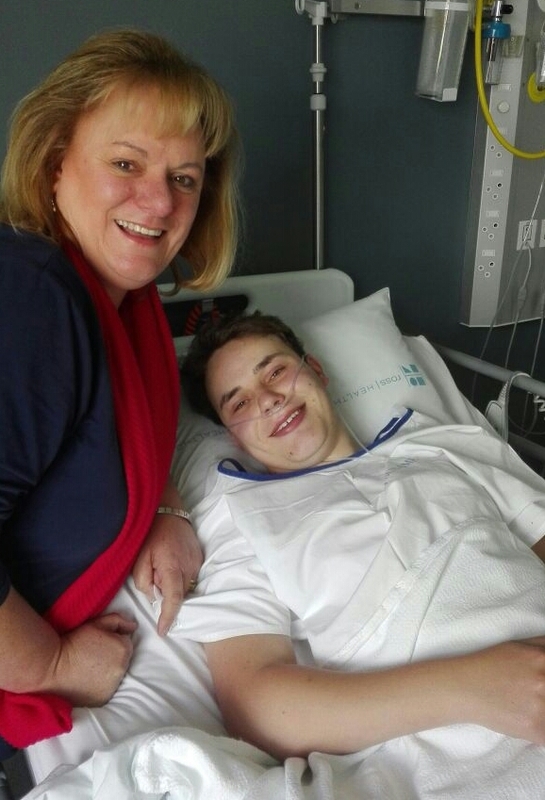 Up until the point that Matthew was wheeled away into theatre we had been able to hold it all together. However, as he went through the doors I remember him distinctly saying to us “I am scared, I love you, I love you, I love you ….” and I cried. I knew he wanted it remembered that if anything happened his last words were “I love you”. Over the years, we have sat waiting outside operating theaters anxious of the potential outcomes. We have no idea why, but this time when Brian and I then looked at each other we agreed that “we really believe he will make this” – we have no idea where the faith came from but we knew he would come though. 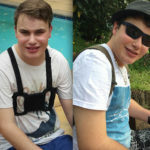 Matthew is one of the most positive people we know and he really believes that God has more for him to do. The clock seemed to crawl after Matthew went into theatre, and the updates seemed to indicate that slow, difficult progress was being made. But, from the time that Matthew went into theatre until he came out of surgery we were seldom alone, and we were so well looked after. 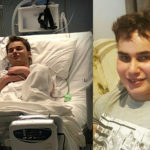 We were even made to eat and drink while being given the regular updates as to how far along the surgery was, to Matthew’s condition, and when each milestone of the operation was completed. 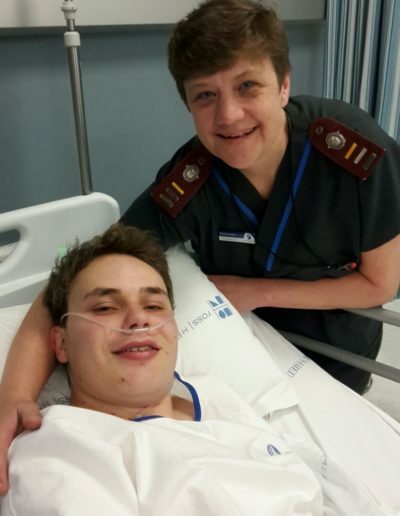 By the time Matthew came out of theatre, the surgeons and anaesthetist looked shattered. 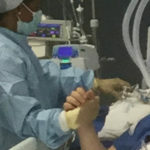 The surgeons had performed the near impossible and the prayers of all those who supported us in prayer had been heard. 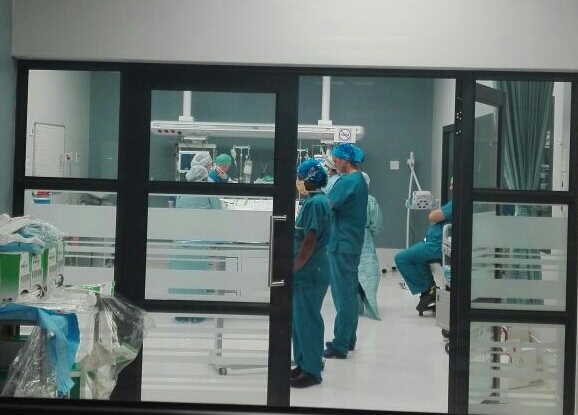 He was moved from the operating theatre into the dedicated transplant ICU cubicle which was next door. 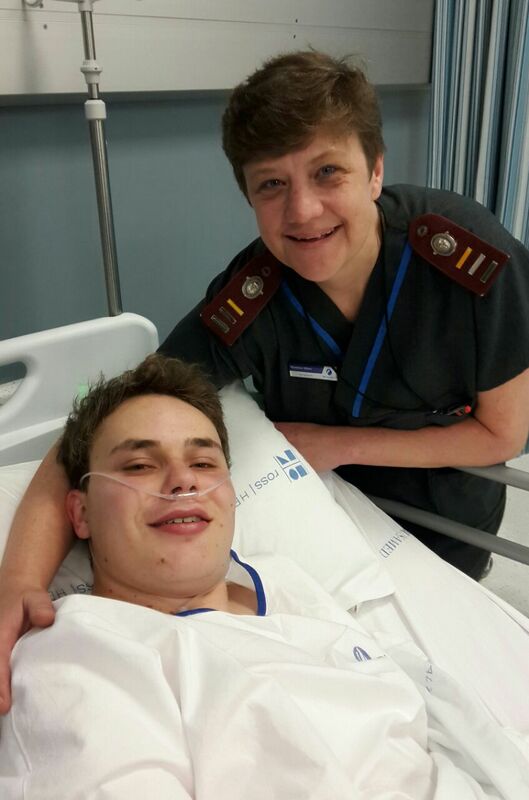 We were told that Matthew had come out of surgery alive – critical and unstable but still alive. (This was our first miracle from the start of the operation – we later found out that Matthew’s operation had been given a low probability of success – very few of the medical staff thought he would survive it!). 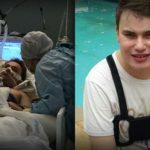 Once we had briefly seen him, we were told to wait in the comfort room for a couple of hours while they worked to stabilise Matthew. The comfort room was to become our second home for some time. Time no longer made any sense and some time before midnight my sister-in-law, Kathy, came to spend some time with me. I was so grateful for someone to share with at this time. The hospital had graciously allowed us to stay for the evening but it was already way past midnight by the time we did get to sleep. Never the less, we made sure that we were back in the comfort room ready to go and see him by 6:00 AM. Matthew was a fighter from the day he was born. It shows in his eyes. What a wonderful family you are. May God continue to bless you all. This story is truly amazing. All praise to God who guided this amazing transplant team and all ICU nurses involved, who carried and supported this amazing family and allowed this miracle to happen! Can’t wait to read the next chapter! Aan God al die eer. Matthew is ‘n vegter. Sterkte aan die hele familie. God is always in control. The Legemaate family is an inspiration to us all! Keep going strong! Thanks for sharing your story, may God continue to work miracles in Mathews life. What an amazing journey! I cant wait to read the next entry. So inspirational! Such a strong family! God Bless you and your wonderful family as you Trust Him through the valley of the shadow may you look back and see Goodness and Mercy following you all the days of your life. What a privilege to have been able to partner with our King in this incredible journey, Words cannot describe the spectrum of feelings as we marvel at where Matthew stands today, his life will never be the same. The doctors and nurses were top class and Brian and Janet you were amazing … Well done to the whole team !!! Oh my word. My tears are flowing non stop. I’m so happy for him. I clearly remebered when being wheeled into my surgery also saying I love you to my folks, so they would never forget…. I can’t wait for the next chapter. I have been an organ donor for years. Sending you all much love and strength. Matthew you are truly inspirational. Dankie Jesus dat U volmaakte genesing vir ons bewerk het toe U na drie dae Satan oorwin het en opgestaan het uit die dood. 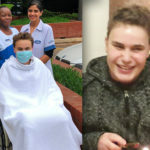 Vader dankie vir Matthew se genesing ..al die eer aan U Koning van alle konings en Heer van alle here. Here dankie vir U voorsiening en beskerming. Dankie dat U ook die familie omvou in U liefde en genade. U guns en goedheid agtervolg hulle. 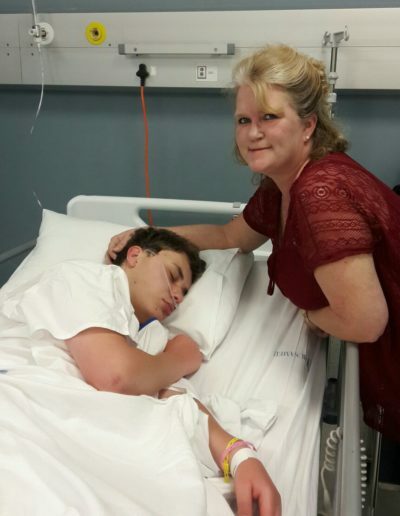 Here ek sien die vioen van n sonneblom..maak nie saak waar hy staan en groei nie, in goeie grond of op n ashoop..sy gesiggie is altyd na die son gedraai…en hy straal goud geel….Here hierdie familie se gesiggies is altyd na die Lig gedraai…U is hul God. Ek loof U saam hulle….